Aldo 8/31-9/4: Buy 1, Get 1 40% off on all footwear. Ann Taylor 8/31-9/3: 50% off select full price styles + Extra 50% off all Sale Styles. BaubleBar 8/31-9/4: Additional 20% off sale items. Loft 8/31-9/4: 40% off Full Price Styles + Extra 50% off All Sale Items. Nordstrom: 9/1-9/10: Save up to 40% on select items. Wayfair: Up to 70% off Labor Day Clearance. I know I’ve been saying this for 3 days, but I literally can’t believe August is over! Fall is my favorite season so I’m not necessarily mad about the summer weather ending, but I do love the carefree nature that the summer makes people have. For most people, the only good thing about the summer ending is the long weekend ending it and all the sales! I’m trying not to do any shopping this weekend, BUT since the weather is going to be kind of crappy I’m SURE I’ll end up doing a little damage! 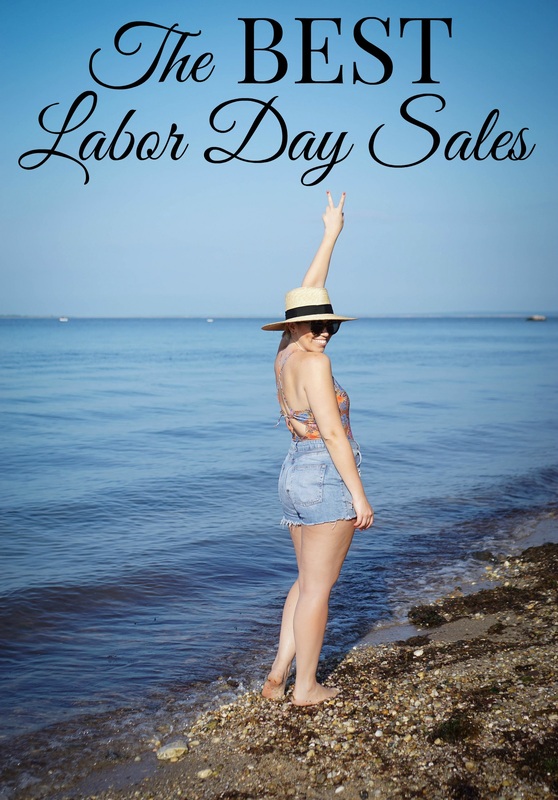 And since I couldn’t keep all the discounts to myself I thought I would share the best Labor Day sales with all of you! I’ll be updating these throughout the weekend so make sure to check back if you haven’t found what you’re looking for now!